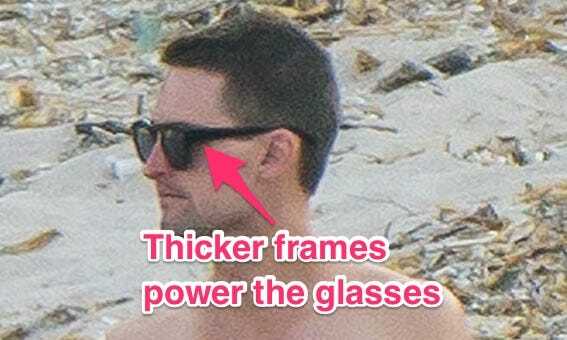 Snapchat has been secretly hard at work on what’s been described as a competitor to Google Glass. However, a source tipped Business Insider off that Snapchat’s supposedly top-secret project may have been hiding in plain sight. In August 2015, Snapchat CEO Evan Spiegel was pictured wearing a very different pair of sunglasses than his usual ones while on vacation in Corsica with his girlfriend, the model Miranda Kerr. 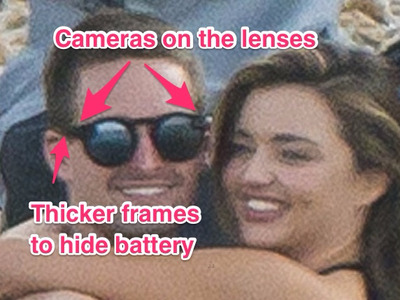 The paparazzi photos taken of Spiegel show him looking straight at a camera with a very circular pair of frames and what appears to be two cameras on either side of them. Compared to Spiegel’s normal aviator style, the sunglasses photographed in August appear to have thicker frames and the attached cameras. 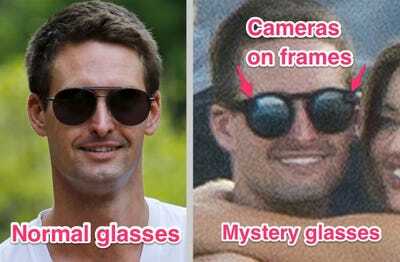 They’re similar to, but not exactly clones of the glasses made by Vergence Labs, a company Snapchat acquired in 2014. The source told Business Insider that they were “shocked” Spiegel had worn the early prototype on vacations and that nobody noticed, although the CEO might’ve not been expecting to be photographed at the secluded beach. The photo was also taken months before news of Snapchat’s hardware efforts surfaced, which may explain why it went unnoticed at the time. Snapchat is “very serious” about a hardware play, a different source with knowledge of the situation told Business Insider, and the company has been on a hiring spree to build up its team for it. The company is regularly sending teams to China to work with contract manufacturers for the project, according to another source. Snapchat’s hardware ambitions first came to light in March, when CNET pointed to an earlier string of notable hardware hires, including eyewear designer Lauryn Morries and a former employee who listed his experience as working on highly miniaturized and very low-power electronics. The photos of Spiegel wearing the alleged early prototype though appeared six months before the report, meaning the company could be further along in development than previously thought. Yet, it’s still ramping up production. In the last six months, the company has brought on two more hardware specialists from GoPro and a handful of specialists in low-powered electronics. To build its team, Snapchat also hired the technical recruiter for Google’s Project Aura, the group responsible for Glass, and the technical recruiter for Microsoft’s HoloLens project.